Welcome Parents of Pack 62! Below we have included information, links and forms to help make your Scouting experience easier! Pack 62’s main fundraiser for the year takes place in the fall with the sale of wreathes and popcorn. In the September Pack Meeting materials will be handed out with information on the products being sold. Formally known as the Cub-O-Ree, Winter Blast is a one day event held at Hamilton High School. 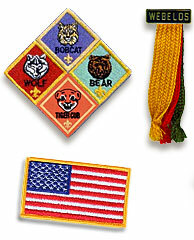 Scouts in each Den will complete requirements, electives, achieve belt loops and badges towards advancement. The event is usually held in the first half of January. Are you new to scouting or you have the worst car ever. Attend the Pinewood Derby Clinic held in December. What is a Blue and Gold Banquet? It is our annual awards banquet where scouts and leaders are recognized for their hard work through out the year. Each March the Pack participates in an on-going annual program to collect\ food for the local Sussex food pantry. One weekend each den will drop off bags in a designated area and the next weekend collect the bags and sort the food. 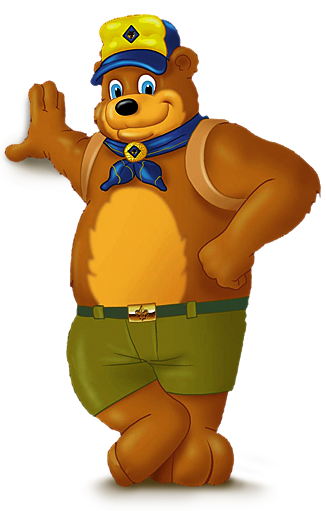 Your scouts Den Leader will be able to provide you with exact days and times. Our last meeting of the year is a fun picnic for the whole family. Each Scout will receive their new handkerchief and handbook. Entertainment and games are always fun for all. Wondering where to put all those patches on the uniform? Required for all new scouts, current scouts, leaders and parents who would attend any camp or day functions. Three copies are required along with a copy of your insurance card. Due in May at the annual Pack Picnic each year.